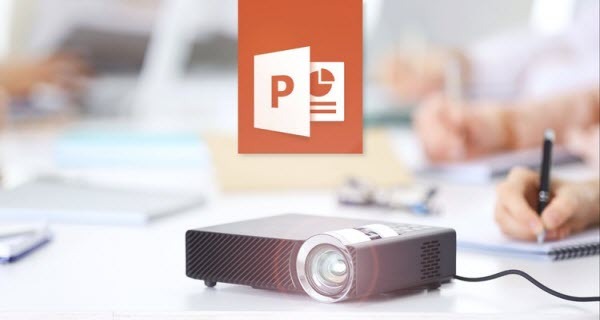 Outline: If you want to insert/embed MP4 video into PowerPoint 2016, 2013, 2011, 2010, 2007, 2003, 2000, even older version of PowerPoint,we offer the Full-solution! If you have try to embed an MP4 video to PowerPoint, and you should find the steps are very simple, direct and easy. All you have to do is click on Insert > Movie (the name of the buttons might vary slightly depending on the version of PowerPoint you’re using) and then browse for the video file from your local directory. You can then set the video clip to playback automatically or when it’s clicked. The option can also be changed later on. The MP4 video files moved to a different path or folder and much more. Read here for more reasons as to why your insert of a MP4 video into PowerPoint doesn’t work. If you are in the above circumstances, welcome to continue reading, we provide you with the solutions. First, please have a quick look or double-check if your MP4 video file format is supported or compatible with your current version of Microsoft Office. According to Microsoft PowerPoint official website explains, we know that even though our audio or video file may have the same file extension as one listed above, it may not play correctly if the correct version of the codec is not installed, or if the file is not programmed in a format that is recognized by your version of Microsoft Windows. Mostly, successful media playback relies on PowerPoint having the correct file format splitter, video data decoder, and audio data decoder. This means that PowerPoint may also support additional file types if you install additional video and audio decoders on your PC. For PowerPoint 2013 and 2016, for the best video playback experience, we recommend that you use .MP4 files encoded with H.264 video (a.k.a. MPEG-4 AVC) and AAC audio. For audio, we recommend using .m4a files encoded with AAC audio. You need have the QuickTime player installed on your computer and you can only insert an Apple QuickTime movie (.mov, .mp4) file to PPT 2010. The PowerPoint 2010 64-bit version is not compatible with 32-bit versions of QuickTime. You must install a 64-bit version of QuickTime, or a 32-bit version of PowerPoint 2010. Well, now we need convert unsupported MP4 videos to PowerPoint supported videos. To ensure that you can insert MP4 into PowerPoint slide successfully, we strongly recommend Wondershare Video Converter Ultimate – As a professional MP4 to PowerPoint Video Converter, the software can easily batch convert any MP4 files to PowerPoint compatible formats like WMV (with WMV8 codec), AVI (with some ancient codec), ASF, MOV, MP4 (H.264/MPEG-4 AVC) and MPG (MPEG-1) to let you insert MP4 into PowerPoint with ease, which are universal formats among all versions of PowerPoint, including PowerPoint 2016, 2013, 2010, 2007, 2003, 2000, 2002, 2005 or even PowerPoint 95, 97. If you are Mac users, try the Mac version. Besides, the top-ranked Video Converter does not only support converting MP4 and other all videos to PowerPoint recognized formats but also transforming FLAC, OGG, APE, VOC, 3GA, M4A, AC3, DTS, RA, M4B, QCP, CAF to PowerPoint recognizable audio formats like AAC, MP3, AIFF, WAV, WMA, etc. The Video Converter Ultimate will be your ideal file converter if you need to convert you video file so that it’s compatible for insert into the PowerPoint. It’s not only ultra-fast in conversion speed, but it’s also with ZERO quality loss! Instead of converting your files one by one, you can simply drag-and-drop them onto the converter for a batch conversion. What’s more interesting is that you can actually use the same piece of software to download any online video or audio file. There’s also a built-in editor that you can use to personalize your files before you insert the video into the PowerPoint. 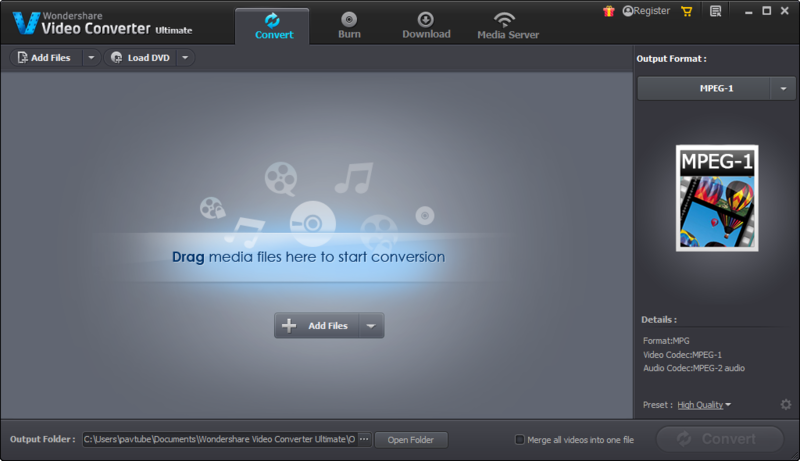 Download it now and explore the rest of the hidden features of the ULTIMATE video converter! Ready to Try or Buy Video Converter Ultimate? How to Convert MP4 to PowerPoint Supported Formats on Computer? 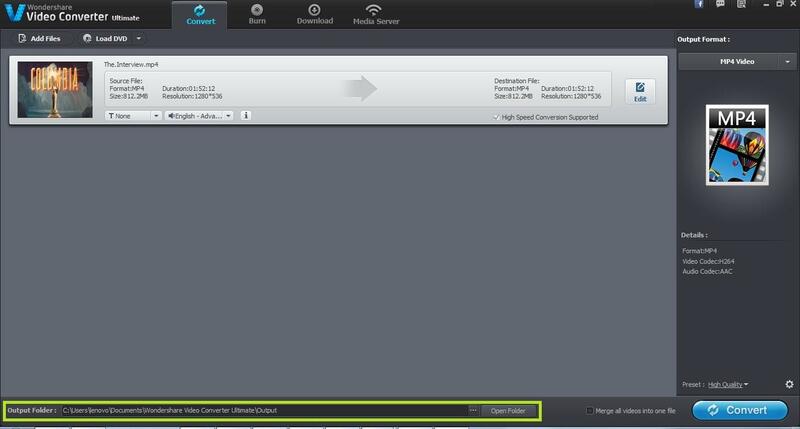 Once you have installed the Video Converter Ultimate and want to convert videos from one file format to another, the very first step is to launch the software by double clicking on its icon. Choose the PowerPoint supported formats in the “Output Format” dropdown list. You can go to “Format” -> “Video” and find “MPEG-1 Video (*.mpg)” which works well with both Windows and Mac version of PowerPoint. What’s more, WMV or AVI is well supported by PowerPoint for Windows; MOV is well supported by PowerPoint for Mac. You can click “Settings” to change audio channel, change video resolution, adjust bitrate, etc. You can edit the videos according to your requirement. This step is optional and can be omitted if not needed. Click on the “Edit” button at the right side of the video to start editing it. Once you have made all the settings and chosen the output format, the next step is to choose the folder where you want the resultant file to get stored. The default folder is chosen but you can change it to any other folder according to your requirement. Click on the “Open Folder” button to choose another folder of your choice. The final step is to start converting MP4 to PowerPoint MPEG-1 or WMV or MOV with highest quality and fastest speed by clicking on the “Convert” button at the bottom of the screen. After finishing the MP4 to PowerPoint format conversion, just insert the converted MP4 to PowerPoint for play just as you insert your other videos to PowerPoint. Convert and play other video formats including FLV, F4V, SWF, H.264, MKV, 3GP, RMVB, WebM, VOB, DV and more in PowerPoint Presentation. Whether you’ve moved the video file into a new folder, planning to send an email with your PowerPoint or copy it onto a CD, please ensure that the links of the video files has been updated. Most importantly, always save or move the video file into the EXACT SAME FOLDER as your PowerPoint. That in fact, is on top on the list of common issues in failed video playbacks. 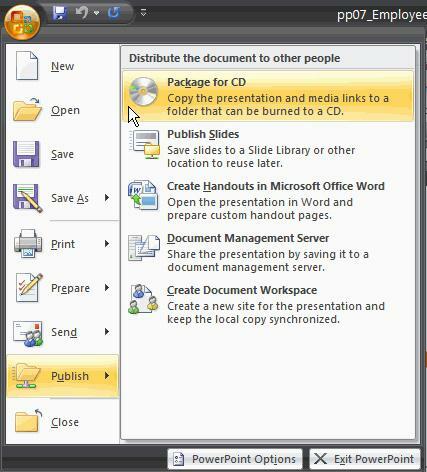 In PowerPoint, you can easily use the Publish>Package for CD to ensure that all associated media or video files that you have inserted into the PowerPoint are properly saved in the same folder. Please follow the links below for a detailed step-by-step instruction on how to update the links based on your Office’s version. That’s all! In this way, you can insert and embed MP4 in PowerPoint 2016, 2013, 2010, 2007, 2003, 2005, 2002, 2000, or even PowerPoint 95, 97 with no restriction! Enjoy. How to Play MP4 video on Plex media server? How to Convert Videos to H.265 (HEVC) MP4/MKV Video?